I am a Trader, blogger and trading system developer. I have around 15 years experience in stock as well as future and options trading. I also have hands on experience in using Metastock, Amibroker, Metatrader, Advanced Get and few more system based softwares. Since 2008, I am sharing my experiences and helping retail traders through my writings in my website Stockmaniacs. I was associated with world renowned charting software Amibroker since 2009-2014 and was a re-seller in India. Last 2 years I am also engaged in the broking industry and am associated with a leading discount stock broker of India. After passing out my graduation on 1995, I got an interview call from a Merchant Bank. But I had no knowledge of the stock market. So I bought a small book on fundamental and technical analysis. That started the passion of stock market inside me. It was a love at first sight. My first hero of stock market was my father who being a doctor has a deep passion in investment in the stock market. My father started with very little capital and started regular investments in the market. By the time I passed out of college my father managed to build a good portfolio of blue chip stocks with enviable returns just by applying buy and hold method. Though I was studying the markets since 1995, I had not invested of my own till 2002. I started building stock daily charts in MS Excel by inputting open, high, low, close, volume data from The Economic Times. It was my very first charting experience. My first broker was ICICI Direct. In January 2002, I bought my first stock from a cyber cafe and I still remember it was TISCO (now TATASTEEL). Since 2002 till 2006 it was quite smooth as I was mainly buying good scrips in dips. In 2006, I thought I should start futures and options trading. In the meantime, I changed my broker from ICICI Direct to Indiabulls, and finally to Sharekhan. During 2006, a column was being published in ET on every Monday named as Derivatives Diary. I was very impressed by the recommendations and I bought few lots of Nifty future, Reliance future and ONGC future. The moment I bought market started tanking, it was a week almost and I was facing margin pressure. I mailed to the author of the ET column. He answered in his next post and he suggested to buy puts of Nifty, Reliance and ONGC and hold them with futures. Markets were going down as usual and to my utter surprise the prices of puts were going down also. I realized I am not in good shape and margin pressure became unbearable. So I needed to book loss and it was a huge loss considering my income then. I stopped trading after the setback for an year and once again started investing in stocks in 2007. It was a great year for me as my portfolio more than tripled courtesy of stocks like RNRL. I started using Metastock in 2007 and started intraday trading in early 2008. Somehow by God’s grace, I sensed the fall of 2008 and I sold all my portfolio holdings in August 2008 and bought them back towards October end. I started making good money short selling stocks in intraday. In 2008, I quitted my job from ICICI Prudential and took stock market as a full time profession. I started writing my experiences in Stockmaniacs and it helped me in enhancing my knowledge also. Since 2011, I started managing my father’s portfolio and gave him almost 150% returns in next one year. I was also managing portfolios of few NRI friends and managed to earn decent gains in all of them. Apart from equity cash market I was also keeping an eye on Nifty index and engaged myself in position trading in Nifty options. I was also investing in mutual funds through SIP route since 2006 and by 2011-2012 it was a good kitty that was built. I diversified my portfolio from equity cash to options to MF to real estates. Mainly technical but recently I started to club them with fundamentals. I do follow bulk deals and Mutual Fund purchases of a stock and then try to follow it technically. As I told earlier my first inspiration in stock market is my father. Apart from my father, I also follow Shri Rakesh Jhunjhunwala in the Indian markets. I am also a big fan of Larry Connors who is the master of mean reversion trading. In 2010-2011, I got a mentor Shri Navin Sood from Delhi who is a master in Advanced Get and he is a big investor. I got great experience from his knowledge sharing. What is your preferred method of selecting stocks? Technical, mainly trend following. I try to detect the primary trend on the daily and weekly charts and enter in pull backs. Fundamentally I try to find out turn around stories. I also have my own IPO selection method and apply them in spotting great IPO investments. What is your total returns till now from market? Not calculated as such but considering only my personal portfolio market gave back at least 20-25 times of the loss I suffered in my bad times. I try to keep a risk reward ratio of at least 1:2. Also I try to buy in pull backs and try to offload holdings in rallies after the pull back. Market is not a get rich quick system. Please don’t take stock market lightly. Any profession needs studies and experience before making money, so stock market is no different. Please drop the idea of making money from the very first day. Any loss you make, see it as a tutorial fee paid to the market. 1) Technical Analysis from A to Z by Steven B. Achelis. 2) Secrets of a Pivot Boss by Franklin Ochoa. Crisp writing, posts on latest technologies. I really like the articles on Amibroker and Excel. Thanks Indrajit for sharing your motivational Trading experience. It’s definitely gonna help all our readers here. Appreciate your time for this. 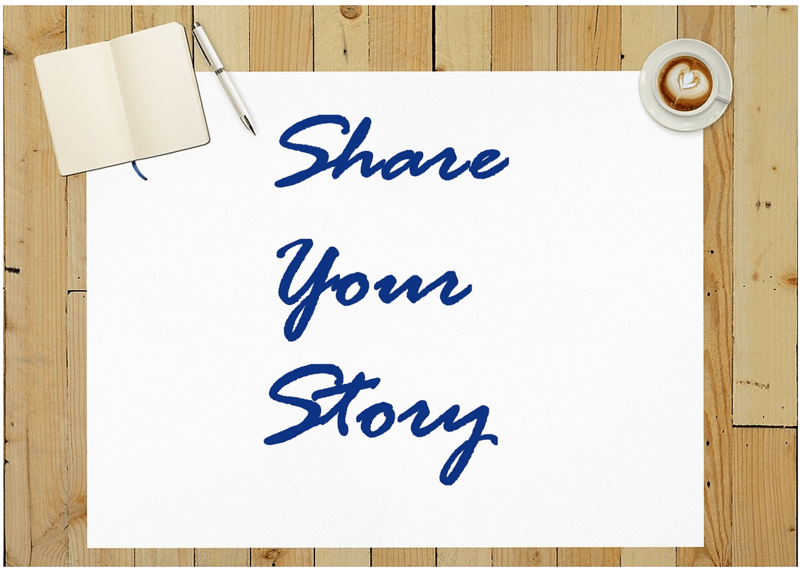 If you feel your story is inspiring too, please shoot an email at support@tradingtuitions.com. We would love to share your experience this section. Also, please send us your feedback on this section. Your feedback and comments essentially keeps us alive!